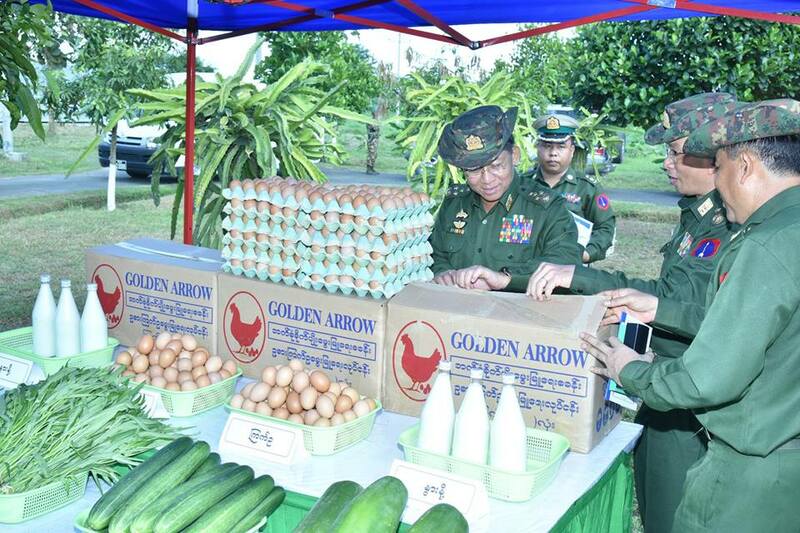 Tatmadaw-owned farms are not for business purpose, but for the welfare of the battalions and units. They must be directly beneficial to the soldiers and their families. 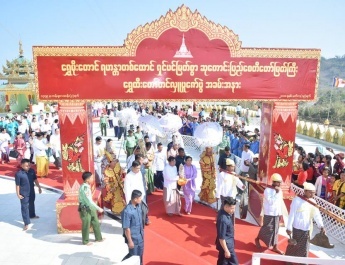 The farms must also be extended till their produce can be distributed to war veterans, personnel of the departments of the sectors such as health and education and the local people at reasonable prices. 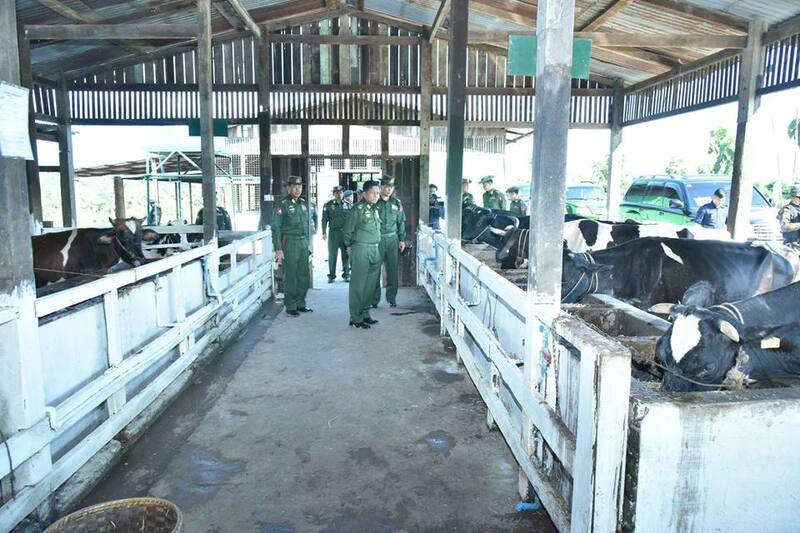 Moreover, efforts must be made to produce value-added finished goods from agriculture and livestock breeding undertakings, said Commander-in-Chief of Defence Services Senior General Min Aung Hlaing during his inspection of the multipurpose livestock farm of the Northern Command this afternoon. 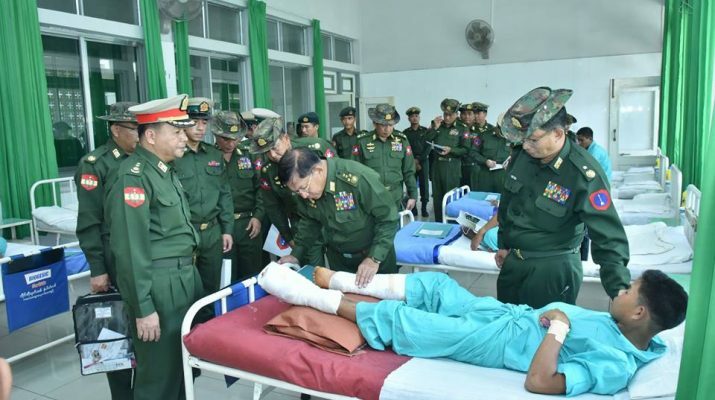 The Senior General, accompanied by Commander-in-Chief (Air) General Khin Aung Myint, senior military officers of the Office of the Commander-in-Chief (Army) and Commander of the Northern Command Maj-Gen Nyi Nyi Swe visited the farm this afternoon. 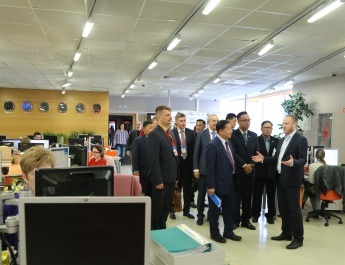 At the briefing hall, the command commander reported on cultivation of perennial crops with nursery gardens, growing of seasonal crops and distribution of vegetables at reasonable prices, breeding of Novogen Brown layers, Hubbard broilers, local chicken, goats, DYL pigs, milk cow, local cattle and fish, distribution of meat, fish, eggs and milk at fair prices, saving of over K-210 million for families through the sale of farm produce at prices lower the market price during the period from 2014 to 2017, production of the feedstuff in accord with the prescribed ration to reduce the production cost, and systematic feeding and sewage system for the cleanliness of the farms. 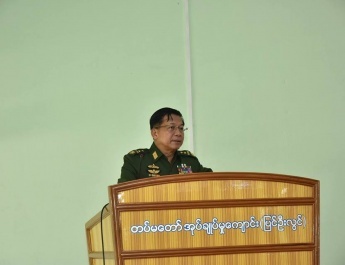 In response, the Senior General stressed the need to prioritize cleanliness as it is of vital importance for the farms, to conduct lab test to ensure that feedstuff contains least chemical or they are totally chemical free, establish a one-acre grazing ground per five cows and to produce valued added finished goods as an alternate income source not only for Tatmadaw members and families, but also for the veterans. 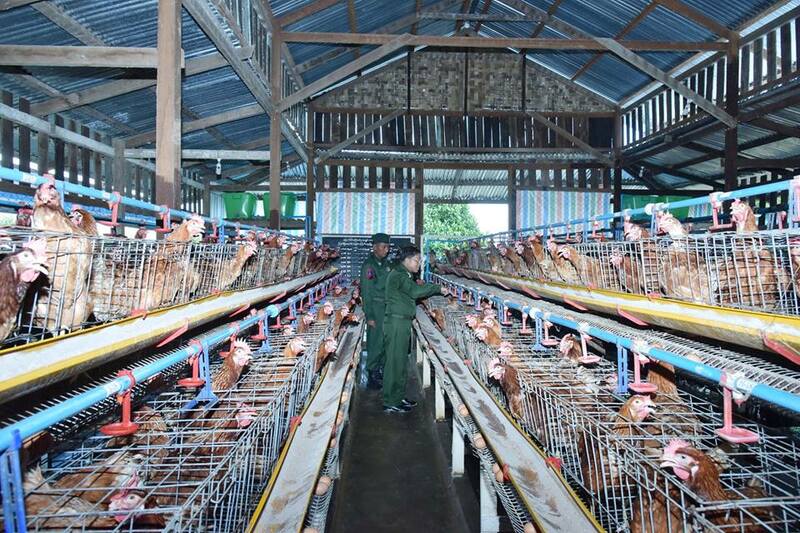 Later, the commander and officials conducted the Senior General and party around goat, local chicken, Novogen Brown layer, milk cow farms. 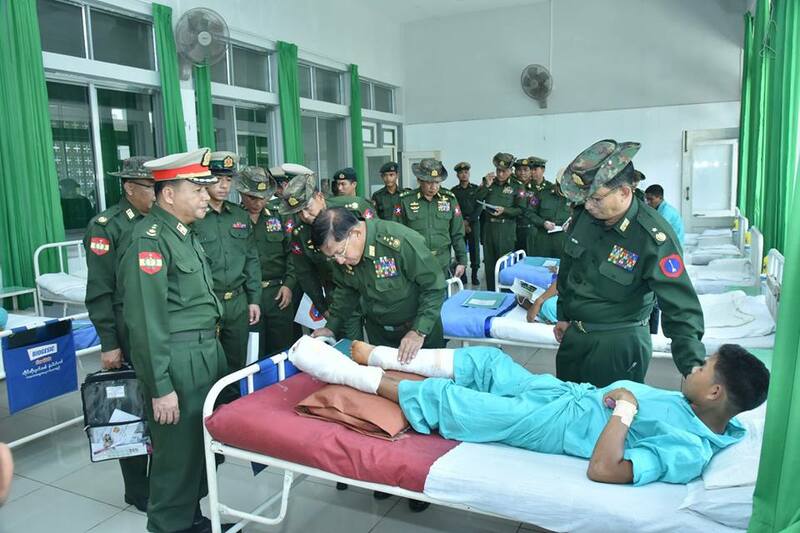 The Senior General, accompanied by his wife Daw Kyu Kyu Hla and the entourage arrived at the local military hospital in Myitkyina Station. The Senior General cordially greeted and asked after the health of the patients individually and presented cash assistance and foodstuff. 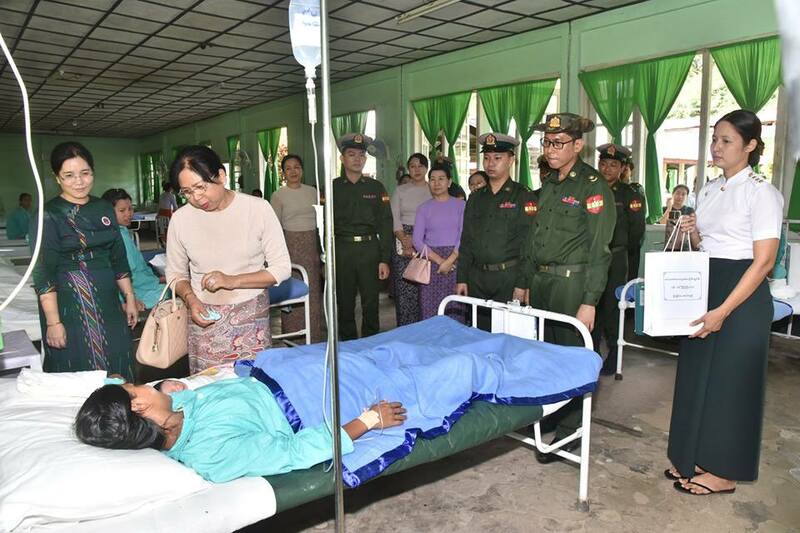 Daw Kyu Kyu Hla cordially asked after the health of families at the women’s ward and children’s ward. She also gave them foodstuff.